The City of Truth or Consequences issued three sets of “utility revenue bonds” about 15 years ago to improve the water and wastewater systems. The Unites States Department of Agriculture financed all three, all with 40-year payback periods. The first 1996 bond issue was for $977,000 at 4.5 percent interest to improve the water system. The second 1996 bond issue was for $647,500 at 4.5 percent interest to improve the wastewater system. 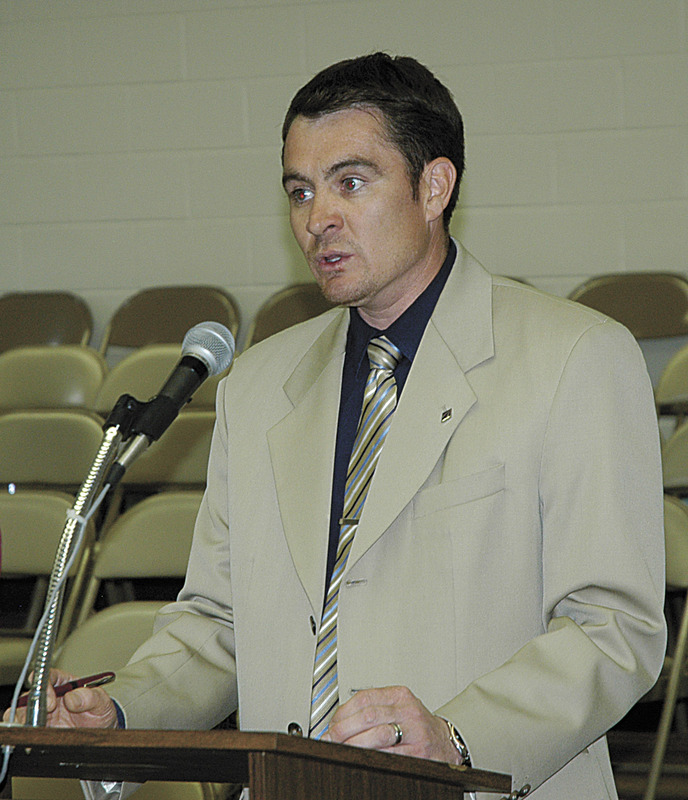 The third 1998 bond issue was for $290,075 at 4.75 percent interest to improve the water system. At the latest city commission meeting, held Tuesday, April 10, a representative from the New Mexico Finance Authority gave a brief presentation. NMFA Financial Advisor Leandro Cordova said these USDA debts came to their attention when negotiating the city’s $1.5 million combination grant/loan to fix the water tanks. That grant/loan “has been approved, but hasn’t closed yet,” said Cordova. What still has to be worked out is “position on old debt,” said Cordova. The NMFA wanted to know if they were to be equal or senior debt holder to USDA, he explained. The NMFA is proposing to refund or pay off the USDA bonds and to give the city a loan that consolidates the debts. The loan carries a lower interest rate of 3.45 percent. The total remaining debt is $1.581 million. The administration fee is 1.5 percent, or $23,725, the total debt equaling $1.6 million. Cordova said this gives NMFA a sole debt-holder position, and USDA is pleased to get the old debt off their books, thus releasing funds that can be loaned elsewhere. Cordova said they can consolidate this debt because the city is repaying them “from the same revenue stream,” which is “derived from the operation of the utility system,” states City Manager Juan Fuentes’ “Commission Action Form” he sent to commissioners. Cordova said the new debt is to be paid back in 25 years and will save the city $170,000, or about $8,200 each year, over 25 years. The loan can be prepaid in 10 years without penalty, he said. The first year the city will pay $112,252, but subsequent years, the city will pay about $96,000. Wastewater System Department Head Jesus Salayandia remembers “major upgrades” made in 1996. “They put in new headworks –the main entrance where all the waste comes in– aerators and vacuum beds,” he said in a Friday, April 13 interview. Fuentes did not know how the bond money had been used on the water system. City Manager Fuentes told commissioners he recommended refinancing with NMFA since it will streamline approval processes for their loans in the future. Financing will be needed once Smith Engineering finishes their preliminary study on the wastewater system, he said, which is again in need of major upgrades. Public comment was allowed on this refinancing during the meeting, but none was given. Commissioners unanimously approved the NMFA application for the consolidation-of-debt NMFA loan via resolution.